Deze make-ups zijn alcohol geactiveerd en creëren een perfecte kleuring voor huid, siliconen, schuim latex en gelatine protheses. The Skin Illustrator Horishi palette is created to make any kind of tattoo; form vintage sailors tattoo's to trendy tribals and anything in between. 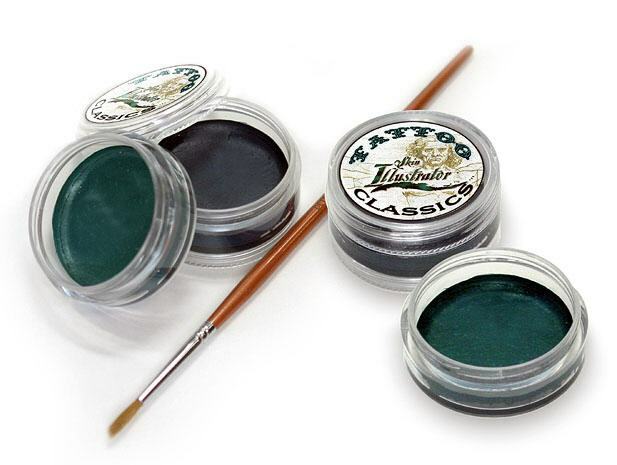 Designed specifically to create traditional Japanese tattoos, this palette is a must-have addition to your kit. 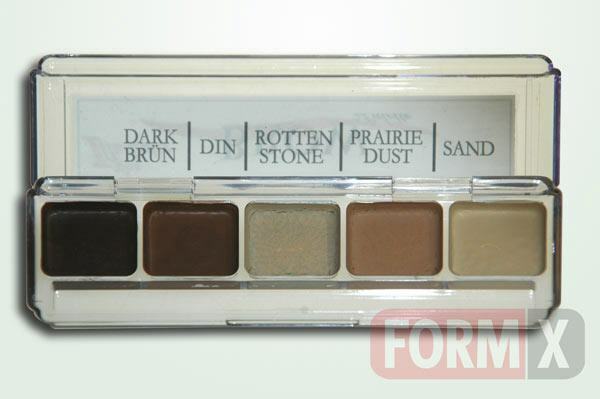 Especially designed by Mike Smithson for the movie Terminator 4 this palette holds all kinds of dirt, dust and FX colours. Guardians of the Galaxy Palette by Skin Illustrator created for artist David White! Smaller than the original, the On Set Flesh Tone Palette from Skin Illustrator has the same colors as its bigger brother - just in a more convinient, smaller size. 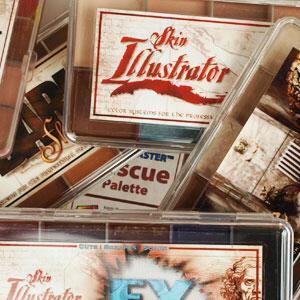 Smaller than the original, the On Set FX Palette from Skin Illustrator has the same colors as its bigger brother - just in a more convinient, smaller size. 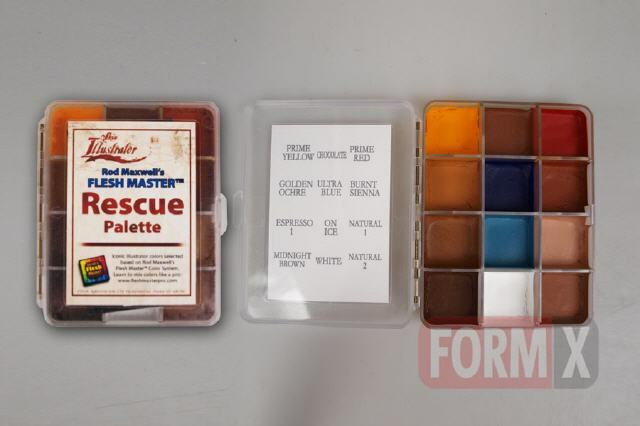 This palette was created for self-taught special effects makeup artist, Powdah (Marc Clancy). Scin Illustrator Scalp Palette to color the scalp in the colour of the actor's hair and thus remove the efect of baldness.